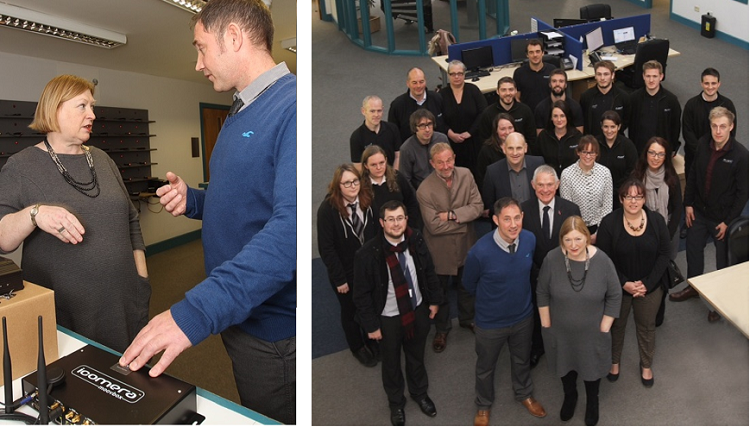 Edwina Hart, Minister for Economy, Science and Transport in the Welsh Government, visited Plant i on Thursday 10th December to officially open their new office. Plant i is a long-established telematics company and one of the fastest-growing in the industry. As one of Icomera’s partners, it distributes Wi-Fi solutions for transport in Wales. During Ms Hart’s visit, Sam Browne, Managing Director of Plant i, took the opportunity to discuss and promote Icomera’s passenger Wi-Fi solution, and discussed the advantages of the service in depth. Ms Hart is responsible for transport policy, including the development of an integrated transport system in Wales, and the delivery of passenger rail services through the Wales and Borders franchise.